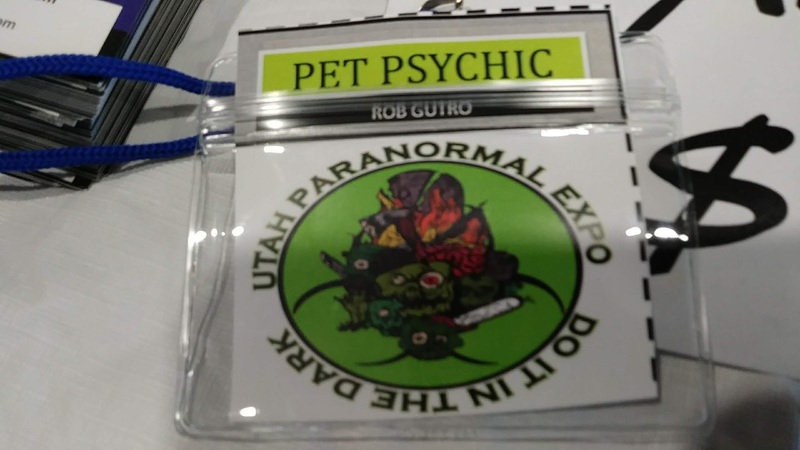 Rob Gutro's Ghosts and Spirits Blog: Part 2: My experience at the Utah Paranormal Expo! Rob Gutro is an author, paranormal investigator and medium with Inspired Ghost Tracking of Maryland. Since he was a child he could receive messages from ghosts or spirits (who have crossed over). *He wrote the books "Pets and the Afterlife," "Pets and the Afterlife 2," "Ghosts and Spirits" and "Lessons Learned from Talking to the Dead" to teach others how ghosts and Spirits communicate with the living and to give proof of the afterlife. He also published his encounters with Ghosts in the U.K. in a fun and historic personal book called "Ghosts of England on a Medium's Vacation." As a scientist, he also provides some scientific explanations about how energy is the baseline for the afterlife and the medium that entities use to communicate. 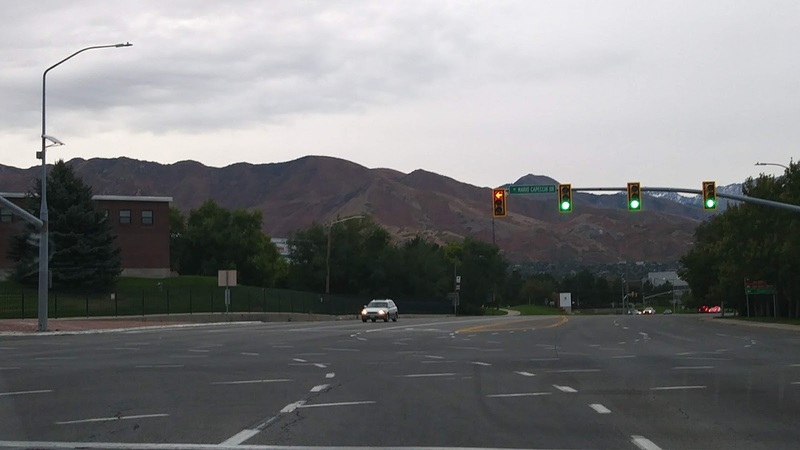 Part 2: My experience at the Utah Paranormal Expo! 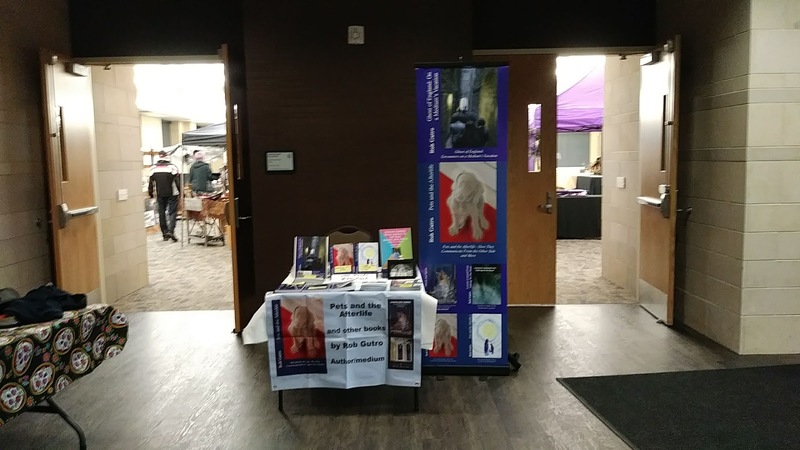 This past weekend I was a speaker and did book signings at the Utah Paranormal Expo. I spoke about my books "Pets and the Afterlife" and "Pets and the Afterlife 2." The talk was well-attended and I talked with a lot of great people. The expo was quite busy, which was great. I would love to return and speak again! A HUGE thanks to Anne and Lawrence, an amazing couple who put it all together. Lawrence made everything work for everyone! ABOUT THE EXPO: Curious about the Paranormal? Wonder what’s on the other side… Our paranormal events are designed to explore phenomena folk lore, mythology, supernatural, and other non-scientific bodies of knowledge, whose existence within these contexts is described to lie beyond normal experience or scientific explanation. The most notable paranormal beliefs include those that pertain to ghosts, extraterrestrial life, unidentified flying objects, psychic abilities or extrasensory perception, and other paranormal subjects. Come explore the paranormal and journey to the great beyond. 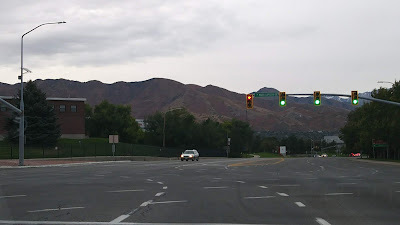 It was located at the Fort Douglas Ballroom, University Guest House, 110 Fort Douglas Blvd,Salt Lake City, UT 84113 which was quite a nice place! Follow Rob Gutro on Social Media! My first book has been updated and revised! Reissued August 2016! LISTEN HERE! 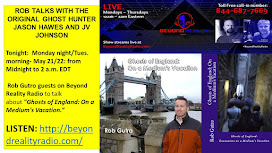 Podcast: On Beyond Reality Radio Rob Gutro Talks Ghosts of England! Rob talks of ghosts he met and even pet spirits! Rob Gutro Author's Recent Tweets! BOOK SYNOPSIS: "Pets and the Afterlife"
The loss of a pet is like to loss of a child to pet owners. The love we share with our pets never dies, and in a new book called "Pets and the Afterlife" by Rob Gutro, the author provides proof that our pets do communicate with us from the other side. 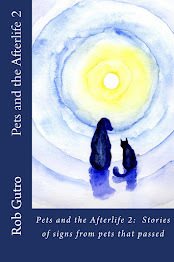 "I wrote this book to bring comfort to people who lost a pet and explain how our dogs and cats give us messages from the other side," Gutro said. "I'm a dog dad who lost two of my own beloved dogs and both have communicated with me, just as your pets are trying to get messages to you." Rob Gutro is a dog owner, dog rescue volunteer, medium/paranormal investigator for Inspired Ghost Tracking of Md. and scientist. In Rob's third book, "Pets and the Afterlife," readers will learn how dogs, cats, horses and some birds have the intelligence and ability to send signs to the living after they pass. They will take comfort in knowing our pets are around us from time to time in spirit and recognize the signs they give us. Learn about the different levels of intelligence that a pet develops and how they are used to communicate signs to the living after the pet passes away. Rob shares scientific studies that prove our pets have emotions and personalities. Read the science behind why living pets can sense entities. The author even takes the readers on a paranormal investigation where one of his dogs helps solve a mysterious canine mystery. Learn how our pets in spirit wait for us when it’s our time, what a pet’s ashes can do, the difference between ghosts and spirits and the science behind the energy they use to communicate with us. "The book also features my dog Buzz who was killed in an accident as a puppy, and became the world's greatest canine communicator in the afterlife," Gutro said. Rob's childhood dogs recently also made an appearance as his mother passed away. Three of the chapters are written by well-known mediums whose own dogs returned and communicated with them to assure them they were at peace. 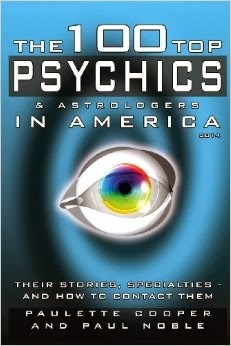 The book features medium Barb Mallon, Ruthie Larkin the Beantown Medium and Troy Cline. 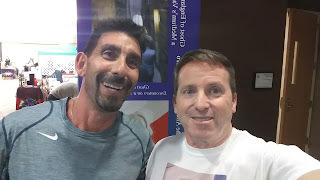 You'll read how Rob's dog Sprite passed and came to all three of these mediums with similar messages and how he revealed his presence to many people in the form of butterfly. Read an amazing story of how a ghost dog rescued a young girl who grew up to work for dog rescues, and how Rob encountered a tiny ghostly dog in a famous museum in England. SUMMARY for LESSONS LEARNED: Follow Rob on a treasure-hunt-style journey in Virginia as he and others try to explain what appear to be random and obscure words, signs and symbols from a spirit, that all wind up being intensely personal to the spirit.Explore the science behind how they communicate. Learn how to receive their messages, where they appear, and important messages in how to live your life. Rob takes you into cemeteries, battlefields, and historic places. You’ll see what happens to victims of suicide and murders, and how infants and animals pass messages to the living. Featuring: Inspired Ghost Tracking and mediums Barb Mallon, Troy Cline and Ruth Larkin. Ruthie is the Beantown medium - featured in this new book! VIDEO from the Washington Post, taken in October 2010 when I investigated the basement of the BOOK ESCAPE in Baltimore with two Inspired Ghost Trackers of Odenton, Md. We FOUND a male ghost! I just finished your wonderful book, which I really enjoyed. I especially enjoyed the very scientific, straight-forward language, which added to the credibility/believability of the book. Your calm, rational, sincere voice (which made me like you when I met you) came through in your book. You have a great gift, and it’s a blessing that you are able to use it help others. Erika R.
LISTEN to the PODCAST of Real Paranormal Activity with host Aaron Hunter wh en he interviewed Rob Gutro on May 4, 2015. Rob Gutro and members of Inspired Ghost Tracking discuss an investigation in a local home where a double murder occurred. WHERE: Inspired Journeys, 1350 Blair Drive , Suite E, Odenton, Md. As always Rob does a very good job and we always enjoy hearing his stories. I think he might have out done himself with this one as it was very interesting. Rob everytime you are the scheduled speaker at IGT you get better and better. His presentation was interesting and informative and well organized (power point). He encouraged participation to the others that were with him at the private investigation. Rob also took a small amount of time by reviewing what a ghost/spirit is and explained the use of the basic equipment used in this investigation. Comments were also added during his presentation by Margaret, Ronda, Melissa, Craig and myself. Also some photos taken at the residence were viewed and it was pointed out that Tom caught a face by an orb. (Tom was not at the investigation) . I wish the meeting and space had the time to share EVPS that were taken then, though. Rob, Troy and IGT members kept me in suspense until the very end of this meetup. Looking forward to the next meetup with Rob. Thoroughly enjoyed Rob Gutro and learning about his investigation of a house where a double murder took place! Very interesting and informative evening! I purchased his book and look forward to reading and learning more about his experiences. on Unlocking the Unknown with host Gary Fisher along with his co-hosts Brian Huxley, Ed Bagrowski, and Adam Anderson. - They'll cover ghosts, spirits, haunted places, pets and the afterlife and more in this 2 hour interview. - Rob Guests on MN Ghost Box Radio program, featuring host Greg Bakum. About "Lessons Learned from Talking to the Dead" GhostBox Radio airs LIVE every Wednesday at 6pm PST/8PM CST/9PM EST on the KCOR Digital Radio Network. Each episode allows listeners to call, message or Skype in there questions during the show. Feb. 19, Tuesday, 7:30-9:00pm Interactive Panel Discussion with Inspired Ghost Tracking - Ask a medium or paranormal investigator any questions! Learn what they experience while investigating hauntings! Feb 18 (Recorded for podcasting later in February), Rob Gutro will be interviewed on Willys View Podcast : https://player.fm/series/willysviewpodcast/s2ep22-authormedium-paranormal-invtigator-rob-gutro-returns-shipt-febsweeps2019 . 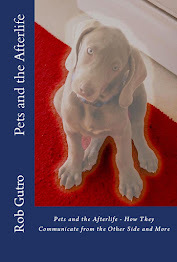 An Author/Medium/Paranormal Investigator Rob Gutro hits the studio to talk about his book "Pets and the Afterlife** Willy’s View Podcast can be heard on : Anchor , Spotify, CastBox, GoogleCast, Itunes, Radio Public. Wed. Dec. 5 at 9pm EST - Rob Guests on MN Ghost Box Radio program, featuring host Greg Bakum. About "Pets and the Afterlife: How they Communicate from the Afterlife." GhostBox Radio airs LIVE every Wednesday at 6pm PST/8PM CST/9PM EST on the KCOR Digital Radio Network. Each episode allows listeners to call, message or Skype in there questions during the show. **SOLD OUT** Wednesday Oct. 31 at 2pm EDT Rob Gutro guests at the Strathmore Mansion Special Afternoon Halloween Tea, , 5301 Tuckerman Lane, Bethesda, Md. Rob will talk about the "Ghosts of England: On a Medium's Vacation." TICKETS: https://www.strathmore.org/events-and-tickets/afternoon-tea Afternoon Teas: $24 per person (Stars Price $21.60), Specialty Teas: $28 per person (Stars Price $25.20), Tea begins at 1pm, Call 301.581.5108 for reservations. Friday, June 1, 7 to 9pm EDT - Talk: "Ghosts of England: A Medium's Vacation Encounters" (Free) at Inspired Ghost Tracking Meeting. Harry L Cooper VFW Post 160, 2597 Dorsey Road Glen Burnie, MD 21061 / inspiredghst@aol.com for info* Rob Gutro discusses his experiences from his brand new book of the same name - where he met many ghosts in 2 different vacations to England and some were famous! May 1- Podcast Interview: Journey Through the Gate:Paranormal Podcast - Rob talks about Pets and the Afterlife and Ghosts of England with Sysco Murdoch! Sunday April 22, 2018 Maryland Psychic Fair, Elks Lodge, Rte 450, Gambrills, Md. - Ruthie Larkin, the Beantown Medium is hosting a weekend event of classes. Rob will be talking about Pets and the Afterlife and the Double Murder Ghost Investigation. Sunday, Jan. 28 from 10am to 2pm EST- Rob is appearing at the Maryland World of Pets Expo: Coast to Coast Dachshund Rescue Booth! Maryland World Of Pets The Maryland World of Pets Expo and Educational Experience takes place on January 26-28, 2018 at the Maryland State Fairgrounds in Timonium, Maryland. Sunday, Jan. 14 8-10pm, Special Best-Of 2017 Re-broadcast! Nov. 4, Saturday at 11am EDT - Talk "Pets and the Afterlife"
Oct. 26, Beyond Midnight Paranormal Podcast Interview - featuring members of the B.W.B. Paranormal Society. Oct. 24, Tuesday, 7:30-9:30pm Talk: Meet the Friendly Ghosts of Belmont At the Belmont Mansion, Elkridge, Maryland Rob and Inspired Ghost Tracking introduces you to the friendly ghosts who linger at the Belmont. SUMMARY: This talk includes some of the cases experienced by the Inspired Ghost Tracking Group of Maryland that cover the "Dismembered ghost," the Alleyway ghost , the House of Darkness and the Burned Ghost. - Rob's Talk at 11am EDT about "Double Murder Ghost Investigation"
and at 11:45 am EDT- "Pets and the Afterlife: How they Communicate with the Living"
Discussing "How to See Signs from Loved ones who passed"
Join the Inspired Ghost Tracking team as they guide you on a tour of the Manor, grounds and cemetery (weather permitting). Participate in a paranormal investigation and visit areas where paranormal activity is suspected. : www.belmontmanormd.org or 410-313-0200. Youtube Live! Host: Jason Bland, Talking about Pets and the Afterlife, and Ghosts and Spirits! Rob Gutro will talk about the Ghosts of Belmont Manor where he lectures, and talk about his 4 paranormal books. Host: Dr. Zohara Hieronimus, D.H.L. on 21st Century Radio - discussing Rob's book "Pets and the Afterlife 2." Nov 8, Tuesday, 7:30-9pm Talk: "Recognizing Signs from Loved Ones"
Oct 28, Friday, 7:30-10:30pm Paranormal Investigation Belmont Investigation & Ghost Tour - at the Belmont Mansion, Elkridge, Maryland -Join the Inspired Ghost Tracking team as they guide you on a tour of the Manor, grounds and cemetery (weather permitting). Participate in an actual paranormal investigation and visit areas where paranormal activity has been suspected. Investigators from IGT use EMFs, data recorders, and temperature sensors to search for paranormal activity. Bring your own flashlights and dress appropriately for the weather. Registration/Info: 410-313-0200. RP9901.101 18 yrs + Belmont F $25. Oct. 24, Monday at 7 p.m. EDT *Open to the Public/Free* "Pets and the Afterlife 2: How they Communicate from the Other Side"
Oct. 16 at 9pm EDT - Rob Guests on PANG Radio! PANG Radio is Hosted by MJ aka Mike Lucas and features a rotating skeptic co-host. The show brings both sides of the table when it comes to interviewing guests on the hottest topics including: UFO’s, Cryptids, The Paranormal, and the unexplained. The show is both funny and serious and covers the latest news of the unexplained the first 15 minutes of the show. Join PANG Radio on Sunday nights at 9:00 pm EST, 6:00 pm PST on the Inception Radio Network. Oct. 10, Monday at 6.p.m. EDT *Open to Public/ Free talk* "Introduction to Paranormal Investigations with Inspired Ghost Tracking. Oct. 9 - Television interview with Howard County Cable at the Patapsco Female Institute, Ellicott City, MD. Rob was interviewed by host Tony Hoos about the hauntings discovered by the Inspired Ghost Tracking group of Maryland. PHONE:(717) 944-9848 Agility Park for dogs and dog pool area if the weather is nice the pool will be open. Open grassy space for our vendors and activities! *Raffles - Every Goodie Bag will contain One Complimentary Raffle Ticket. Winners must be Present to Win. Rob will talk with hosts Andrew and Jessica about the hauntings of Maryland's Belair Mansion and touch on his 4 books. Aug. 5, Friday, 7 p.m. EST -*Open to Public $20 at the door * Beantown Medium, Ruthie Larkin special appearance in the Mid-Atlantic! - Ruthie is an amazing medium who will give readings to people in the audience. Paranormal Graveyard Radio about Rob's Updated/revised "Ghosts and Spirits" book. Rob Gutro will talk about how pets communicate from the other side, and provide amazing examples from his new book, "Pets and the afterlife 2." May 25, Wed. 9 p.m. EDT *LIVE- Radio interview on Paranormal King Radio; Host Ross Rapuso will interview Rob about his new book "Pets and the Afterlife 2." May 6, Fri. 7-9 p.m. EDT * Talk* Ghosts of the Belmont Mansion, Md. April 5, Tues. 7-8:30pm "Introduction to Ghost Investigation" class offered at the Belmont Manor & Historic Park, 6555 Belmont Woods Rd, Elkridge, MD 21075 . SUMMARY: Learn what it takes to go on a paranormal investigation. You'll learn about the equipment used in investigations, how they are conducted, and more. You'll also learn the difference between ghosts and spirits. This 90 minute class is offered to the public (registration required) hosted by Inspired Ghost Tracking. Contact at Belmont Manor: Cathy Allen at callen@howardcountymd.gov or Mary Venske at mvenzke@howardcountymd.gov. Phone 410-313-4632. Mar. 19 7 to 10 p.m. EST- Public Ghost Investigation offered at the Belmont Manor & Historic Park, 6555 Belmont Woods Rd, Elkridge, MD 21075 . Hosted by Inspired Ghost Tracking group who will walk people through the mansion and provide explanations on ghosts. Contact at Belmont Manor: Cathy Allen at callen@howardcountymd.gov or Mary Venske at mvenzke@howardcountymd.gov. Phone 410-313-4632. March 8, Tues. 7-8:30pm "Pets and the Afterlife" talk by Rob Gutro. Class offered at the Belmont Manor & Historic Park, 6555 Belmont Woods Rd, Elkridge, MD 21075 . The love we share with our pets binds us together forever. Learn how pets communicate signs to the living from the other side. Rob shares scientific studies that prove our pets have emotions and personalities. Learn why pets can sense ghosts and spirits. Learn how our pets in spirit wait for us when it’s our time, what a pet’s ashes can do and more. This 90 minute class is offered to the public (registration required) hosted by Inspired Ghost Tracking. Contact at Belmont Manor: Cathy Allen at callen@howardcountymd.gov or Mary Venske at mvenzke@howardcountymd.gov. Phone 410-313-4632. Interview on Feb. 2 from 3 to 4 p.m. EST - Interview on the Medium Julie Sav show from the United Kingdom! Feb. 16, Tues. 7-8:30pm "Signs from Departed Loved Ones" talk by Rob Gutro. Class offered at the Belmont Manor & Historic Park, 6555 Belmont Woods Rd, Elkridge, MD 21075 . SUMMARY: For anyone who ever lost someone and wants to understand what happens after death and how to recognize communications from spirits of loved ones. Learn what blocks messages and hear true encounters from others. By the end of the talk, you'll know what to look for. This 90 minute class is offered to the public (registration required) hosted by Inspired Ghost Tracking. Contact at Belmont Manor: Cathy Allen at callen@howardcountymd.gov or Mary Ellen Baker, General Manager, at mebaker@howardcountymd.gov or 410-313-4632. Jan. 26, Tues. 3-4 p.m. EST *LIVE -Radio Interview with Host Tracey Lockwood, Medium on her show "From a Medium's Perspective" will interview Rob Gutro about Pets and the Afterlife. Oct. 30, Friday 7-10pm *Public Ghost Investigations offered at the Belmont Manor & Historic Park, 6555 Belmont Woods Rd, Elkridge, MD 21075. These investigations are offered to the public (registration required) hosted by Inspired Ghost Tracking. Contact at Belmont Manor: Cathy Allen at callen@howardcountymd.gov or Mary Ellen Baker, General Manager, at mebaker@howardcountymd.gov or 410-313-4632. Oct. 26, Mon. 7 p.m. - "Introduction to Paranormal Investigations with IGT" Woman's club at 110 N Hammonds Ferry Rd Linthicum Heights, Md (45 minutes). Learn what it takes to go on a paranormal investigation. You'll learn about the equipment used in investigations, how they are conducted, and more. You'll also learn the difference between ghosts and spirits. Oct. 13, Tues. 7-8:30pm "Ghosts and a Double Murder Investigation" class offered at the Belmont Manor & Historic Park, 6555 Belmont Woods Rd, Elkridge, MD 21075 . SUMMARY: Ghost investigator, medium and author Rob Gutro will share a case from the files of Inspired Ghost Tracking of Maryland, where the team investigated a private home reporting paranormal activity. What they found was the result of a double murder with amazing confirmations of what happened, and photographic proof of the ghosts left behind.This 90 minute class is offered to the public (registration required) hosted by Inspired Ghost Tracking. Contact at Belmont Manor: Cathy Allen at callen@howardcountymd.gov or Mary Ellen Baker, General Manager, at mebaker@howardcountymd.gov or 410-313-4632. Sept. 22, Tues. 7-8:30pm "Introduction to Paranormal Investigations" class offered at the Belmont Manor & Historic Park, 6555 Belmont Woods Rd, Elkridge, MD 21075. Learn what it takes to go on a paranormal investigation. You'll learn about the equipment used in investigations, how they are conducted, and more. You'll also learn the difference between ghosts and spirits. This 90 minute class is offered to the public (registration required) hosted by Inspired Ghost Tracking. Contact at Belmont Manor: Cathy Allen at callen@howardcountymd.gov or Mary Ellen Baker, General Manager, at mebaker@howardcountymd.gov or 410-313-4632. June 7 at 2pm (Private investigation), Ellicott City, Maryland. With Inspired Ghost Tracking group of Maryland. May 30, 2015 12 to 4 p.m .EDT Doxiefest! (dog event!) 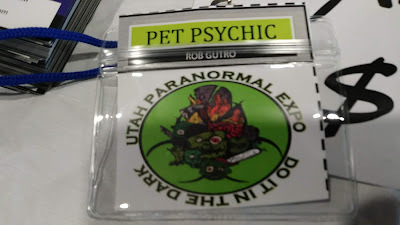 **SPEAKING from 12:15PM-12:30 *Bring your dogs* Rob Gutro, Author Table, signing "Pets and the Afterlife"
May 4, 2015- PODCAST - Real Paranormal Activity podcast with host Aaron Hunter. March 5, Thursday at 9 p.m. ET - Return Interview with Noreen Belovich, host of Paranormal TV Zone about "Pets in the Afterlife"
Call in: 1-646-929-2384 to call into show / pkaradio@gmail.com to email questions, comments and concerns..
October 15, Wednesday, 8-9pm EDT Interview with DK (aka Ken) from Double Talk Radio "ShocktOber" - They air live Wednesday nights at 9pm eastern on AllradioX and Power Radio. October, 10, Friday at 10 p.m. EDT - Interview with WBZ Radio's NightSide w/Dan Rea in Boston! AM 1030 Boston - also a clear channel station that can be heard all over U.S. East coast at night! Sept. 9th with Clay Smith, the host of Spirit Watch Radio! August 9 and 10, 2014 10am-6pm EDT- Speaker/Table/Meet/Greet! A Science, Comic, Sci Fi, Anime, Gaming, paranormal, art, horror and Costuming Convention! Rob Gutro Speaks about "Pets and the Afterlife"
July 21, Monday - 3 p.m.
*Closed to the public* - Rob will be discussing a "double murder investigation" and "Pets and the Afterlife"
Rob will be interviewed by Michael, the host - about "Pets and the Afterlife"
On-line or at 680 AM WBAL Radio, Baltimore, Md. Saturday, June 14 - 9:00 a.m. to 3:00 p.m.
Greenbelt Dog Park, 7201 Hanover Drive,Greenbelt, Md. 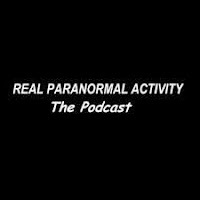 Paranormal Review Radio interviews Rob Gutro about "Pets and the Afterlife"
Ramada Inn near BWI Airport, Hanover, Md. A Conference that Celebrates the Mysterious, Anomalous and the Unknown! Open to the Public! Must Be 16 Years of Age. April 26 (7:30am to 4:30 p.m.)- Two Talks: Signs from Loved Ones- Saturday, 9:15-10:15 and 10:30-11:30 a.m.
Each speaker will have 30 minutes and there will be a panel discussion with audience questions after all four talks. Guest on the U.K. Radio Program "Becoming Psychic"
Private Investigation of the Benson-Hammond House, Md. Interview on Black Cross Paranormal's "Club Para on Blogspot radio"
Interview of "Let's Talk Ghosts"
at Inspired Journeys, Jessup, Md. Baltimore Museum of Industry, Baltimore, Md. Rob will be interviewed by Michael, the host - about his books and experiences. (Cumberland County Pennsylvania.) Easily accessible from Interstate 81.
under the Local Author's Tent! St. Andrew's Church (Corner of So. Chester and East Lombard). Baltimore, Md. This event will benefit a local animal rescue group Friends of Homeless Animals (FOHA). Bring a bag of dog or cat food, warm blankets, treats or toys and get $10.00 OFF of your admittance fee! *Be sure to register accordingly when checking out! The Massachusetts Paranormal Research Group is an all volunteer organization. Our mission statment is simply this: We will assist people who are experiencing paranormal activity, events or episodes and provide them with a solution or explanation for their specific encounter while adhering to strict policies and guidelines to protect their confidentiality. Toll free call-in line for listeners is 1-855 GRA LIVE, or 1-855-472-5483.
withBarb Mallon, Psychic Medium in Chantilly, VA .
Radio show, Metaphysically Speaking on the ParaX radio network - .Host Ladean Snodgrass to interview Rob with the Inspired Ghost Tracking Team that will highlight the members and play EVPS Her show airs live and has over 10,000 listeners ! Bowie Senior Center, 14900 Health Center Drive, Bowie, Md. *Saturday, May 18, 2013 - 9 a.m. to 6 p.m. Location: The E-Centplex at Frederick Fairgrounds. *Free and Open to the Public**"The Haunting of Dr. Samuel Mudd's House"
Rob Joins Margaret and Ronda to share personal experiences. The A&E story will also be aired! Saturday, April 21, 2013 - 11am to 4 p.m.
3786 Howard Avenue, Kensington, Md. "Share Your Paranormal Story" night at Inspired Ghost Tracking, Jessup, Md. Friday, Feb,. 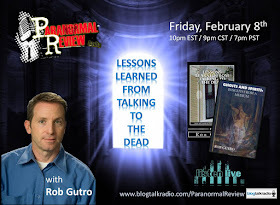 8 at 10 pm EST- Rob will be a guest on Paranormal Review Radio! Hosts Luci Leibfried and Anthony Agate host this paranormal internet radio show. Rob will discuss his newest book "Lesson Learned from Talking to the Dead." Tues., Jan. 22 *Private talk* with Inspired Ghost Tracking to the BACA group in Baltimore. We will be discussing Baltimore area haunts including some of the stories that appeared in Rob's two books. Fee: $60/pp or $50/pp with the donation of a bag of dog food/blankets/treats, etc. Will have books available for signing! Oct. 5, Fri., 7:00-9:00 p.m.
A Double Medium Presentation: Including Talk/Book Signing about "Lessons Learned from Talking to the Dead" by Rob Gutro AND featuring readings by Local Medium Ruth Larkin! Oct. 4, Thurs. 10:30 a.m.-12 p.m.
TALK @BOWIE SENIOR CENTER *OPEN TO PUBLIC- FREE*Meet the Inspired Ghost Trackers/Rob GutroDiscussing a Maryland Investigation of a Double Murder/Double Haunting14900 Health Center Drive, Bowie, Md. CONTACT: jtringali@cityofbowie.orgTel. 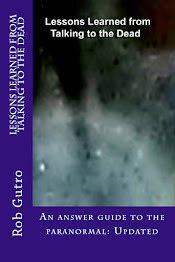 301-262-6200 Will have "Ghosts and Spirits" and new book"Lessons Learned from the Dead" for signing. Sept. 30, Sun. 12-8 p.m. THE BALTIMORE BOOK FESTIVAL 2012 *FREE - OPEN TO PUBLIC*@The Authors' Tent Charles Street, Baltimore, Md. Sept. 16, Sun. 8:00 to 8:30 p.m.
July 22, Sun. 8:30 to 10 p.m.
July 14, Sat. 1-3 p.m.
June 7, Thurs. 7-9 p.m. *CLOSED TO PUBLIC*TALK AND BOOK SIGNING: Maryland Society of Ghost Hunters and Tri-State ParanormalMillersville, Md. *Had a great time - what an awesome group! Sunrise Senior Living, 6500 Freetown Road, Columbia, Md. Sponsored by the Maryland Writer's Association. **I will host and provide explanation of how mediumship works, and will pass any messages along at the end of the session. *Will have copies of my new book for signing. 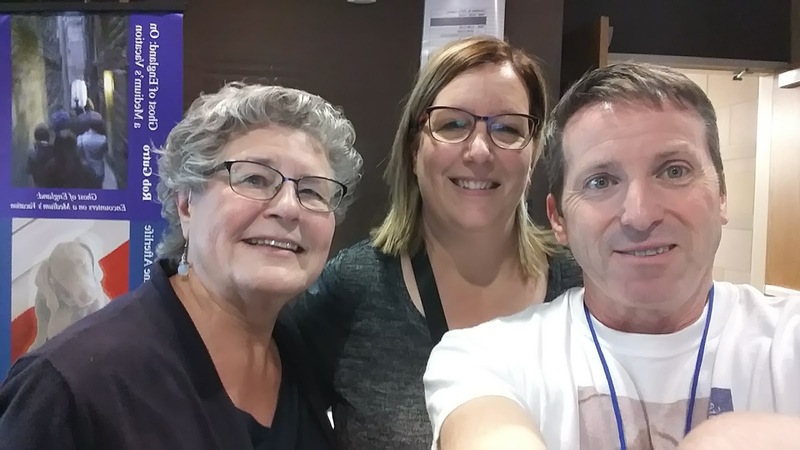 EVENT SUMMARY : Medium Barb Mallon's medium event last night was totally amazing (as always). Barb provided intimate details of people who passed and conveyed their messages of love, hope, and caution to the living relatives or friends. From a deceased policeman to two grandfathers, and young soldiers who died recently in one of the wars overseas. A number of people in the sold out audience of 40 or so people received personal messages as Barb continued to identify the spirits and relay the information while identifying whom they belonged to. Barb is good friend and a huge inspiration and mentor to me - she has provided comfort to those who are grieving over the loss of their loved ones and proves over and over that they are still very much in our lives. **She also does readings over the phone- so, drop her a note at http://www.barbmallon.com/. LOCATION: Novel Places Books, 23341 Frederick Road,Clarksburg, Md. RESERVE A FREE SEAT: Contact Margaret at: inspiredghst@aol.com. Rob Gutro joins Host Kevin Weddle, Founder of Unknown Paranormal, along with Co-Host, Jeff Stirl for an evening discussing all realms of paranormal and spirituality. and Tarot Reader Tim Boyd. Guesting on the: Unknown Paranormal Radio Sunday, July 31 9:15pmEDT Host Kevin Weddle, Founder of Unknown Paranormal, along with Co-Host, Jeff Stirl for an evening discussing all realms of paranormal and spirituality. We'll be discussing my book, "Ghosts and Spirits: Insights from a Medium," and how science explains the presence and behavior of both ghosts and spirits! I will be attending and passing on any messages I get from spirits. **Last time I attended an infant came to me with a message for the survivors of her family. **Before that, a Chihuahua came through to me and pointed me to her "person" and gave me his exact name! I'll be talking about my experiences with the Inspired trackers at Montpelier Mansion, Riversdale Mansion, and Sotterly Plantation. Includes a slideshow of pictures from all locations. APRIL 30, 2011 7-9 p.m. EST (Admission- Open to Public)- go to barbmallon.com to get Tickets! Barb will conduct a mini talk on her work, and then relay messages from the other side to those members of the audience she's pulled to. I will help host the evening, and give any readings for spirits that contact me (there's always a couple everytime I'm with Barb!). Check Barb's site under "Events" to register and pay. MAY 26 at 7pm EDT (WEDNESDAY): 2nd Appearance on "Ghost Chronicles" Internet Radio - I've been invited back for a return on-air visit with Ron Kolek and Maureen on the Ghost Chronicles: Internet Radio Show to talk about this coming weekend's talks/book signings in Mass. JUNE 12 (SATURDAY): JAZZ BRUNCH FOR THE FRIENDS OF THE LARGO-KETTERING LIBRARY (FOLK), from 10am-1pm. Located 9601 Capital Lane, Largo, Maryland 20074, phone number 301-336-4004 for tickets for this fundraiser. College Park, Md - Appearance at Booth #26 w/ Medium Barb Mallon! Filled with hundreds of vendors including new age, massage, herbal remedies, supernatural and more. Gave a talk at the Equality Maryland Fundraiser at the Scarborough Fair B&B in the Federal Hill section of Baltimore. I was a guest with this great ghost tour for 2 hours, touring haunted locations in historic Annapolis, Md. COSTUMES OPTIONAL- Will be prizes! COST - There is a small cost. Call number for details. EVENT: Talk and book signing. *I'm working with Inspired Ghost Hunters afterward to investigate paranormal events in the building! About a ghost hunt I did at the BOOK ESCAPE in BALTIMORE last weekend. At the Belmont Mansion, Elkridge, Maryland . Rob and Inspired Ghost Tracking introduces you to the friendly ghosts who linger at the Belmont. Sign up for this and the Ghost Tour to get the full experience! **COMING SOON: Rob to guest on The Shadows Radio on Para-X Radio. 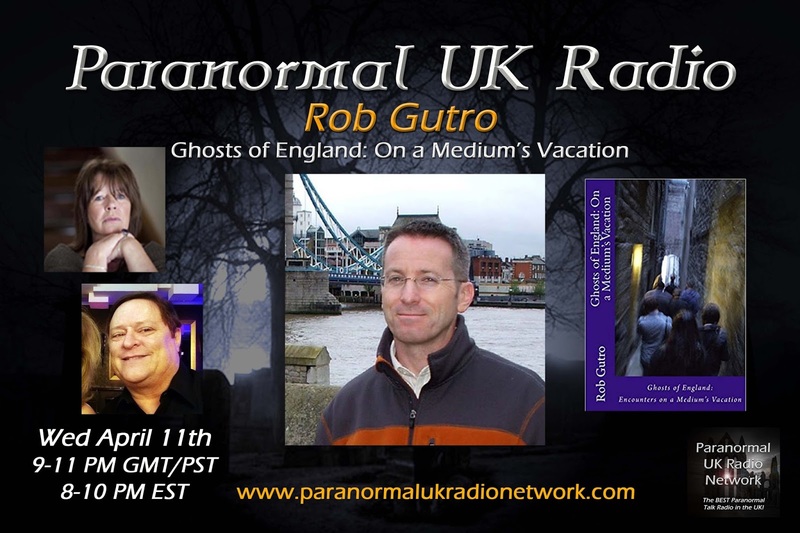 Hosts Rebecca and Cara will talk with Rob about his newest "Ghosts of England: On a Medium's Vacation" They broadcast live on Mondays 9-10pm ET on the Para-X Radio Network. 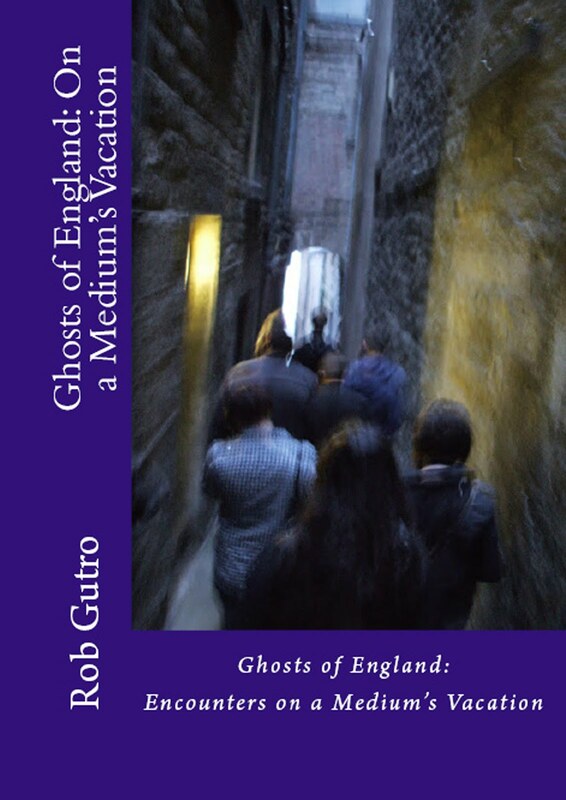 Julie Sav from the U.K. hosts the House of Mystery Radio program and talked with Rob Gutro about his latest book "Ghosts of England on a Medium's Vacation." 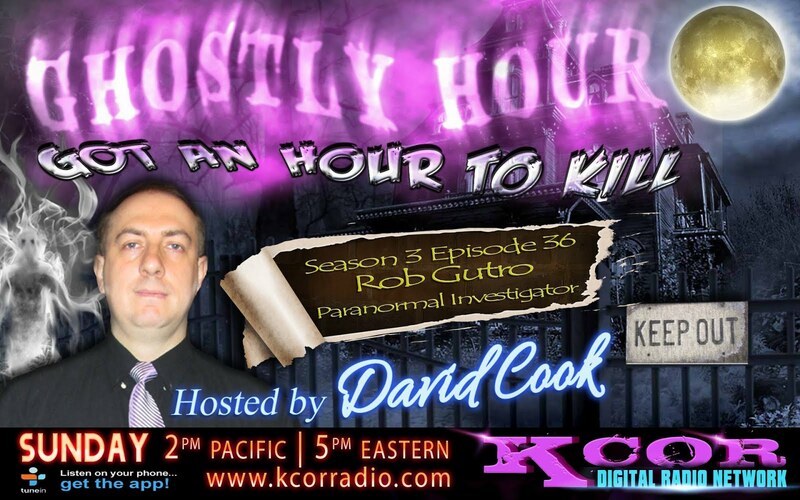 Rob Gutro on UK's Ghostly Hour show! Medium, author, Rob Gutro was interviewed by Digital Dragon TV about "Pets and the Afterlife" in this 3:45 min. video. LISTEN HERE: Interview on PARANORMAL UK Radio: "Ghosts of England: On a Medium's Vacation"
"Fantastic and entertaining,a must hear show! " On January 23, 2017 Author Rob Gutro had a fun interview with Markette Shepherd and Chris Leary of Great Day Washington, on Channel 9, WUSA-TV, Washington, DC. Rob talked about the Ghosts of Belmont Manor where he lectures for Inspired Ghost Tracking. He also talked about his 4 paranormal books. in a TV Interview. Rob in new video: A Few Odd Minutes: Ghostly Cat in Envy Salon! 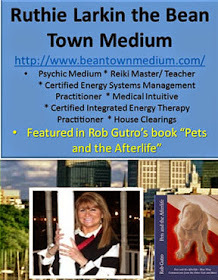 Ruthie Larkin- the Beantown Medium! NEW! Rob's Pet Spirits Podcast "From a Medium's Perspective"
I always welcome emails & questions. However, since I have a full time job (this is not it) I respond to messages on weekends, so please be patient! I get about 30-40 emails a week, and it takes a long time to tune in. Thank you! *Did you lose a pet? 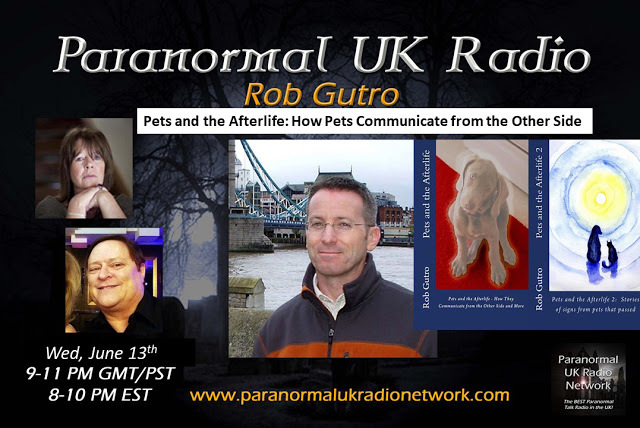 Watch/listen to Rob Gutro's interview with Host ~ Norene Sampiere Balovich, Do You Believe Web Series on Paranormal Zone TV on Mar 5, 2015 - Animals do have souls "Pets and the Afterlife"
Rob considers himself an average guy who just happens to be able to communicate with those who passed. He is a medium on IGT, the Inspired Ghost Tracking Team of Hanover, Maryland. By trade he's a meteorologist, so he tries to explain ghosts and spirits with science. He's had the ability since he was a teenager and it has improved over time. He has his first experience as a teenager when his grandfather appeared to him. Since then, his abilities have developed to the point where he can sketch out ghosts and get names and other information. He also wound up living in a house that was haunted! In 2005, Rob's late puppy became the world's best canine communicator and inspired Rob to write his first book. His has written 4 books and is currently working on three others. 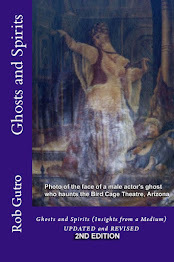 His breakthrough book, "Ghosts and Spirits" provided similarities and differences between the two entities. 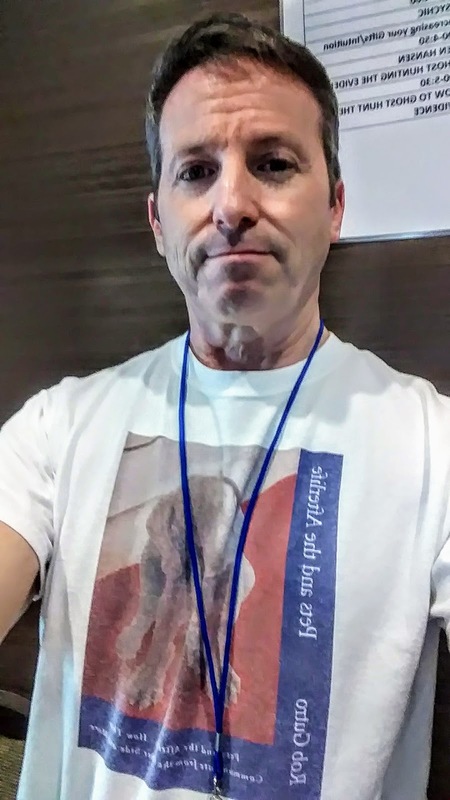 Rob participates in private paranormal investigations, helps ghosts cross over, and has provided countless messages from people or pets as ghosts or spirits. Each week he receives emails from around the world from grieving pet parents, and provides messages or comfort free of charge. 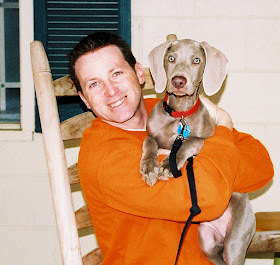 Rob and his husband, who is also a member of IGT have worked with Dachshund and Weimaraner rescues since 2008. They have 2 Dachshunds and a Weimaraner. A Nice Comment I Received! Haunted or Staged: An Irish School Ghost? Photos from the Animal Rescue League of NH Event! A Q&A on Feeling a Presence from "Urns, Ashes and Spirit Visitors "
Rob's Talk (35 min. )"Recognizing Signs From Loved Ones." A short video welcome from author, ghost investigator, medium and scientist Rob Gutro with Tyler the dachshund - provides a short explanation of his latest book "Pets and the Afterlife" (available on Amazon.com). Sunday -April 7th On-line Interview on Paramania Radio's "On the Horizon"
Nice Note about the Weekend Event/ Intuitive Wellness is a Cool Place! Friday Night Ghost Frights! He focuses on the Truth Behind Helltown, Ohio Urban Legends! Rob Gutro is a developing medium who strives to help others learn about ghosts and spirits through his abilities. A video Introduction to Rob and his books! Hear Rob's Interview on "Let's Talk Ghosts"
Now Featured in Paranormal Underground Magazine! The Inspired Ghost Trackers group that Rob Gutro belongs to and works with as a medium, is featured in the December 2011 issue of PARANORMAL UNDERGROUND MAGAZINE. To order printed copies of this issue of Paranormal Underground, visit http://paranormalund...nd.magcloud.com.